IxDA is where you are. More than a conference, more than a discussion board, IxDA conversations are happening all over the world, all the time. Get connected and get inspired. 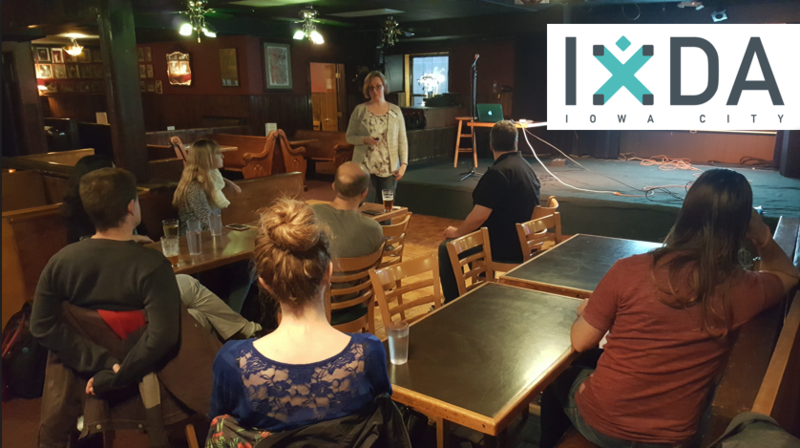 We are happy to be the first IxDA local chapter in the state of Iowa. Iowa City is home to The University of Iowa, Iowa Writers’ Workshop, the National Advanced Driving Simulator, and has been designated by UNESCO as a City of Literature. We leverage a supportive, creative community to build a premier design community. Aligned with the mission of IxDA, we focus on interaction design issues for the practitioner, no matter their level of experience. Members include game designers, software developers, design strategists, graphic designers, product managers, design thinkers, innovators, researchers, and scientists. We meet on the third Tuesday of the month at The Mill in Iowa City. The Mill has long been home for musicians and creative artists. That spirit infuses the activities and interactions of our salons, which include presentations, design trivia, informal discussions, and networking. No Local Group in your area?